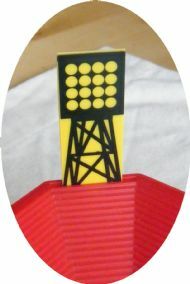 Early computerised game (basically a few flashing lights) that became a short lived cult. 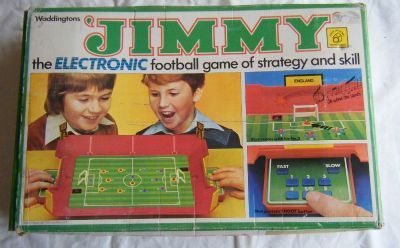 Arguably the best ever name for a football game - inspired. 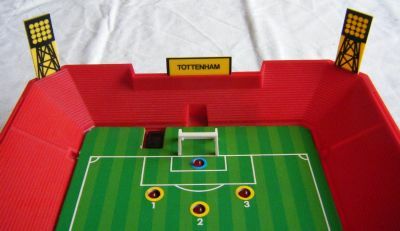 An early electronic game with moulded plastic terraces. 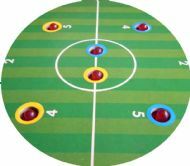 A number of coloured lights on the pitch each with a number. No idea what you do next! 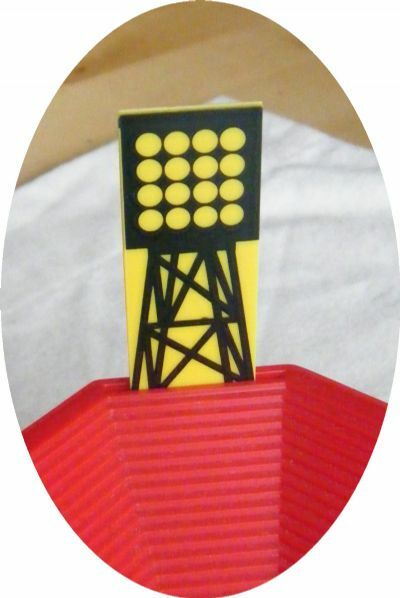 Lovely printed floodlights and nameplates for the game. 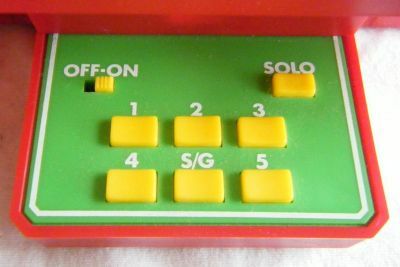 Several numbered buttons and a 'solo' switch. 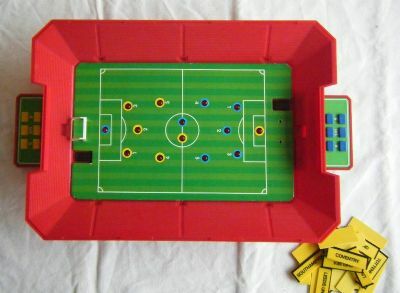 I really must dig out some batteries and have a game. 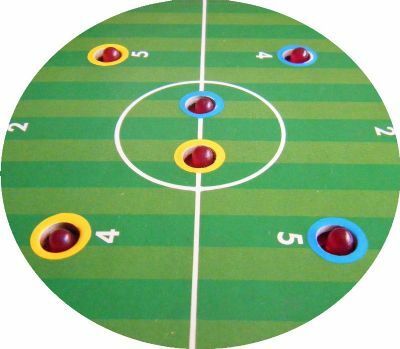 It all looks rather splendid when put together. 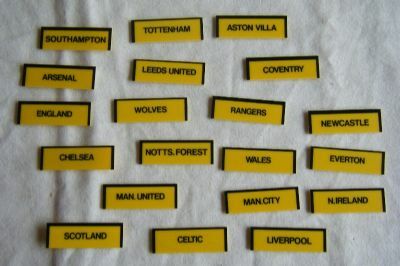 Lots of top teams to choose from, as well as an Arsenal board too.